A chorus of “Irrashaimase” loudly welcomed us as we slid open the patio door and stepped into the cramped and humble food stall. The place was a buzz of activity. 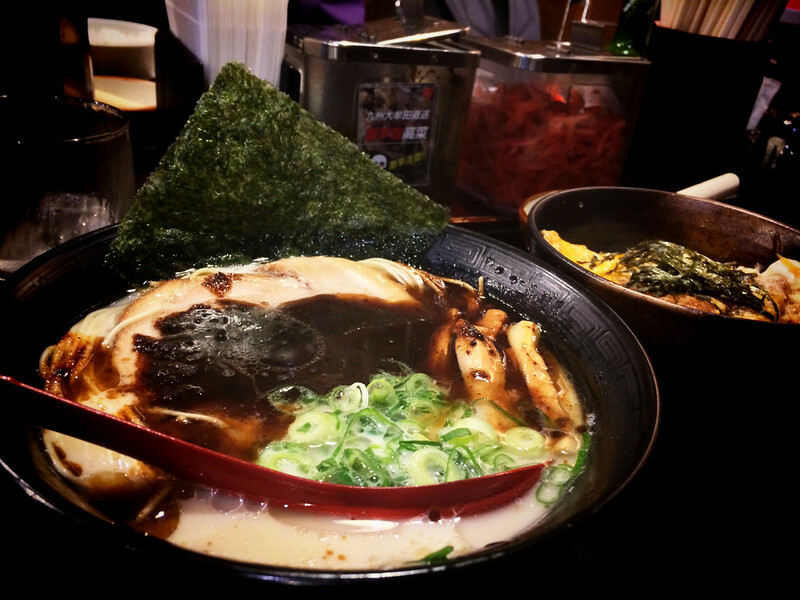 Businessmen perched on wooden stools, lunching on steaming bowls of ramen noodles as the trio of kitchen staff strained noodles, blowtorched slices of pork and effortlessly built up various bowls of rich broth and noodles. We’d arrived in Japan, and thrown ourselves head first into it. Barely two hours earlier, we landed at Tokyo Narita airport, jumped on a train to the city centre, hopped on the metro and dumped our bags at our hotel. Standing in the food stall, we clearly looked tired, hungry and slightly bewildered. We stood patiently for 2 seats to become available, sat down and waited to order. Ah, the first of many mistakes. Our friendly and energetic waiter took one look at us, a wide grin forming across his face, and motioned for me to follow him. Led to what looked like a cigarette vending machine, the system (which we instantly fell in love with) seemed pretty simple. Put your money in the machine, press the image you want to order, hand the waiter the receipt. Simple, efficient and perfect for us non-Japanese speakers. Two bowls of pork ramen noodle soup ordered, we relaxed and took in our new surroundings. The place was a hive of excitement, everywhere we looked there was another new food to try, all accompanied by a symphony of slurps, sucking and talking in a language completely indecipherable to us. It was the Tokyo we had dreamt about. We sat there both seriously jet lagged and began day dreaming about our upcoming adventure in Japan, until a jolt awoke us from our sidetrack. Two HUGE steaming bowls of ramen landed in front of us. 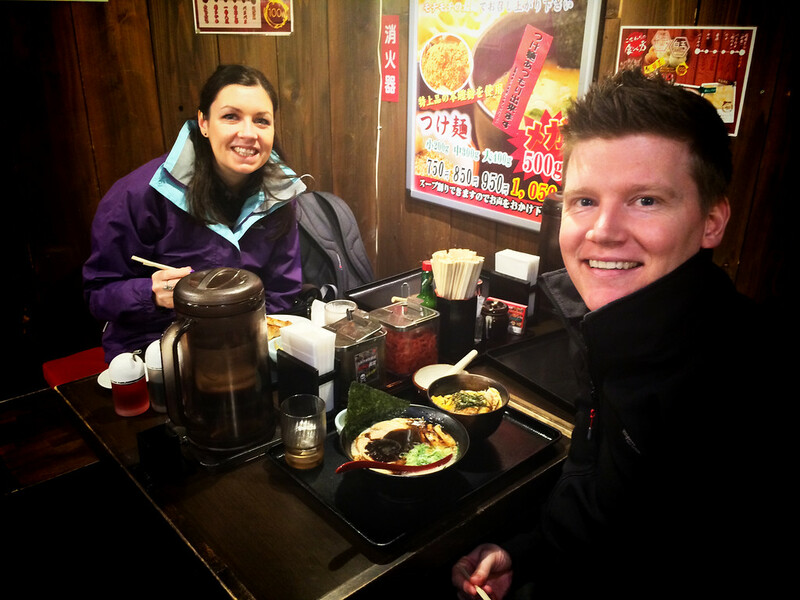 Our eyes widened, it was time to try our first bowl of soup in Japan. Despite all of our adventures across the world, Japan provided us with some of the most unique cultural quirks and traits we’ve encountered, especially given the subtlety involved in them. 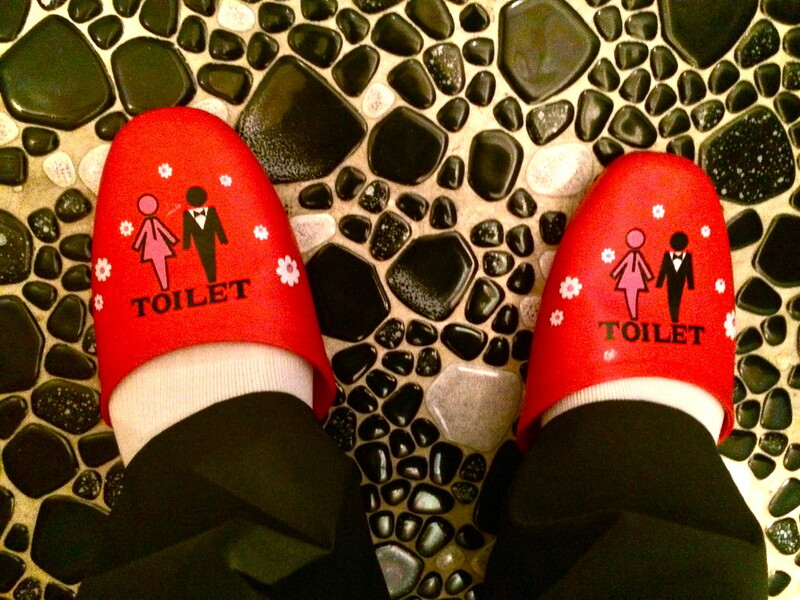 You see, with Japan, it’s the little things that count. Arrival at the airport was smooth, and without incident, and we cleared immigration quickly. In the arrivals hall we were confronted with a scene of quiet serenity. No hustling taxi drivers trying to get us into their cars. The train to the city was clean, quiet and on time. On our way to the train we had to use a set of escalators, which were managed by two ladies. One at the top giving advice and guidance to users about to use the escalator, and one at the bottom to help us off. 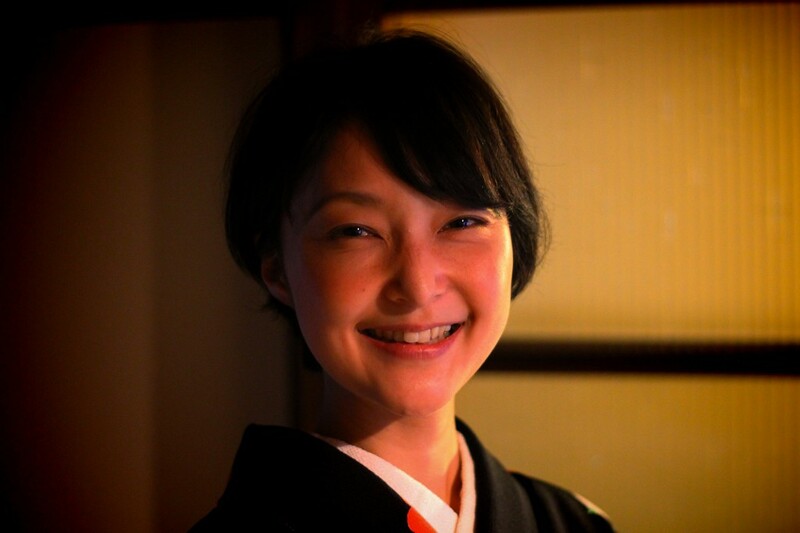 From the outside looking in, Japanese culture seems extremely alien to us, from its minor, almost imperceptible quirks to its grander, cultural points of view. In our few weeks there, we didn’t even scratch the surface of this unique culture, but what we saw, we liked. There are the little things that make the big differences. Being handed something with two hands instead of one meant more to us. The toilets with the ‘shower’ option or the more exciting ‘jet’ option provide a bit of additional fun where none normally exists. And the fact they flush a little fresh water when you sit down is nice as well, or play running water noises if you don’t want anyone to hear what you’re up to. 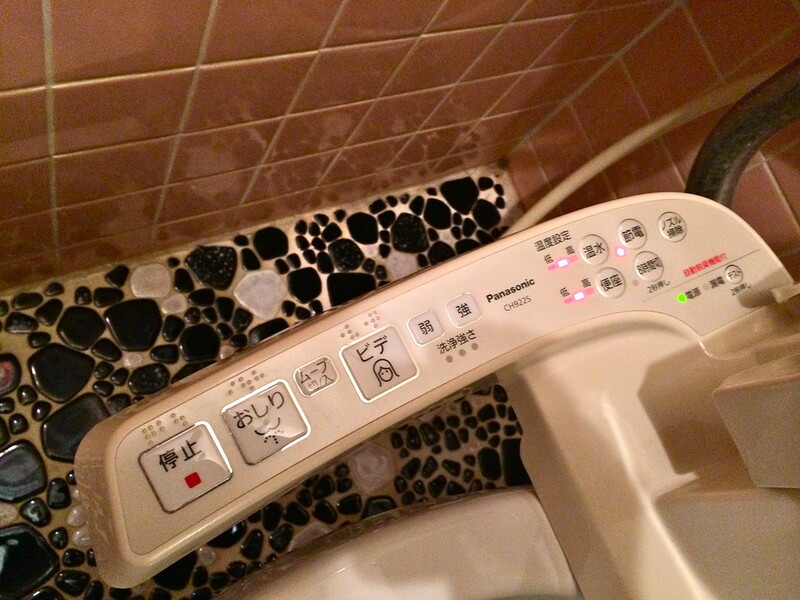 Oh and the toilet seats are heated too. Whilst we don’t speak any Japanese, there have been many people who have helped us on our way. From the young student on the streets of electric city who stopped to help us with directions, we thank you. To the lady at the metro who approached us at the machine as we tried our best to buy a ticket, we thank you too. To all our servers and chefs in restaurants, we thank you as well, especially the guys at the raw horse meat bar who graciously guided us on our way after we had sat down, washed our hands with their hot towel, and then realised all they offered were variations on raw horse meat. We thank you too. Would we recommend a visit to Japan? That really depends on what you want, but we’ve never felt more safe and welcomed in a country so quickly. We came to experience the culture and the food, as well as see some sights. 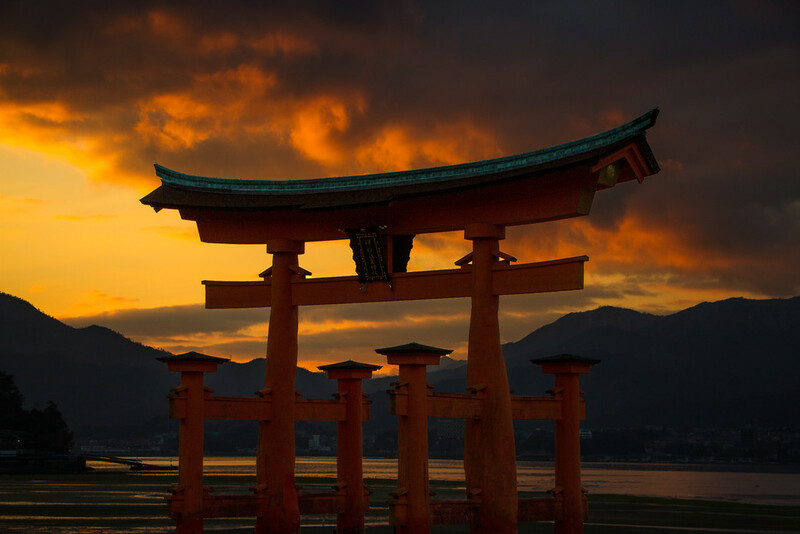 If you’re interested in sushi, sashimi, ramen, noodles, sake, tea ceremonies, temples, interesting toilets, sumo, karate, karaoke and geishas, Japan is the place for you. We fell in love with Japan, and we have no doubt that we’ll be back again in the future. Hello! Where are you guys in that top picture (onsen with the mountain in the background)? Hey Alana, we stayed on Lake Shojiko (the smallest in the five lakes region). It was pretty remote but it had incredible views and it was very quiet. We stayed at the Yamadaya Hotel!